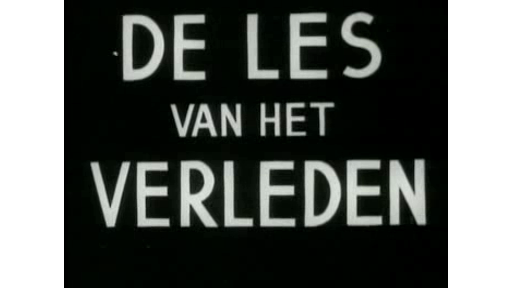 Film of Ministry of Agriculture, Fisheries and Food on the restoration and the desalination of the Zeeland farming land (after the inundation during WWII or after the flood disaster of 1953). 02:22 Harvesting farmers, close up of the sea and the surf, flooded land, repairs on the dykes (digging, driving piles, drainage), dried up land with a.o. skeletons of crabs and parts of agricultural equipment. 05:42 Harrowing farmer, farmers spreading gypsum on the land, animations that show how much salt ended up in the soil, how the salt affects the soil structure and how the drainage system drains off the salt, close up of drainage system, men digging up a drain pipe. 08:40 Brackish soil, harrowing and plowing farmers, taking soil samples, examination of the samples in the laboratory, close ups of different crops and plants. 13:29 Animations of plant growth, several of fallow, salty land, rain, animation of structural deterioration because of salt, farmers spreading gypsum. 18:10 Excavation works: after an explosion block of stone (lime?) are hacked into small pieces, taken away with transport vehicles and grinded by a machine. Animation that shows the restoration of the soil, samples from soil that has and has not been treated with gypsum, harvesting farming near farm "Nieuw Leven" (New Life). N.B. Date unknown: after the inundation during WWII or after the flood disaster of 1953.